HKC Plaza has finally opened their 1st flagship Skin Aesthetic outlet in Singapore. I’m honoured being the first few to experience their signature skin care treatment Histolift Ultra High Speed Lifting. 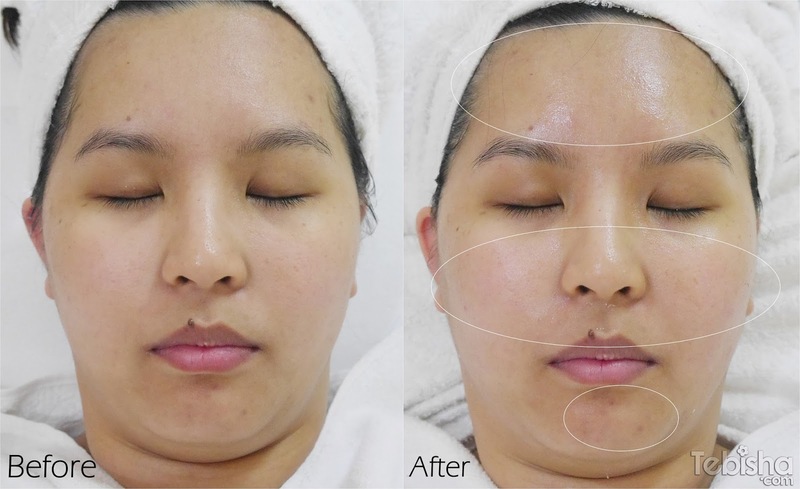 Histolift Ultra High Speed Lifting, currently a popular treatment offered in Korea, is a non-invasive program that delivers 7-in-1 instant results using natural berries, herbs and organic plants, in just 1 session. 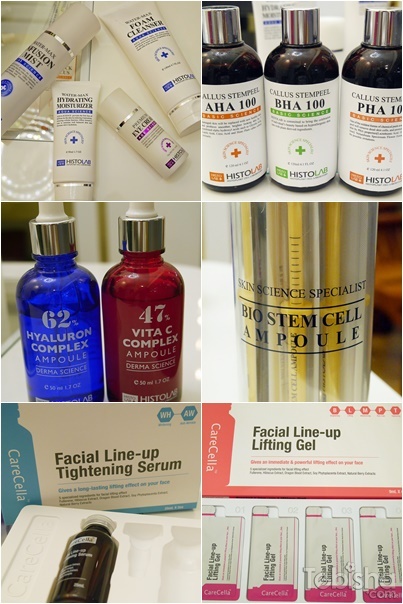 Ultra High Speed Lifting, Whitening, Tightening, Brightening, Moisturizing, Anti-Wrinkle and Pore Minimizing benefits. HKC Plaza Skin Aesthetic is located at 1 Tanjong Pagar Plaza, #02-29, just a 5 minutes walk from Tanjong Pagar MRT. Histolift Ultra High Speed Lifting is a treatment purely use of HistoLab products, no machine is use during the treatment, definitely safe for sensitive skin. Products used for my treatment. 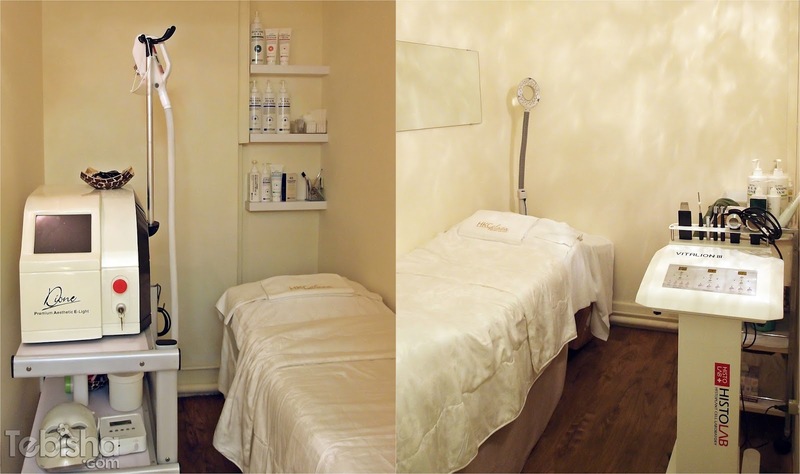 The 90 minutes treatment, it’s not just a normal facial treatment with cleansing, extraction and masking, I was indulged with a 5 minutes relaxing lavender aromatherapy at the start, then move on to cleansing. HistoLab Water-Max range were used, Foam Cleanser, Infusion Mist & Hydration Moisturizer. I was amazed by the extraction process, no facial steaming machine is require, applied the Callus StemPeel, black heads and white heads were easily removed. A slight stinging feel once the steampeel was applied , if you feel uncomfortable just highlight to the therapist. Xiao Ni, the therapist who did the treatment for me, she’s very attentive and informative. I’m curious how should I apply the Infusion Mist as Toner, direct spraying onto the face better or use it on cotton pad better? She told me, direct spraying is definitely better however if use it after removed makeup and cleanse, spray it on the cotton pad and pat onto the face, can be treated as double cleansing. Overall experience was great and relaxing. My skin is brighter and looking so much radiant than before. Pores are tighten as for lifting effect I couldn’t see much difference maybe it will work better on ageing skin. For first timer, you can have this trial session at a special price of $88! I was encourage to start using HistoLab Water-Max range at least a week before going to the Histolift Ultra High Speed Lifting treatment. Water-Max range was given to me at the VIP Media Event in early June. I have been using Water-Max range for more than a month, it my current daily skin care products. Hydrating effect is amazing, gentle to skin and help to soothe my tired skin. Multi facial foam cleanser, helps clear skin impurities and also sooth irritated skin. With the gel like cleanser, its better suitable for dehydrated and sensitive skin. Tomato callus culture extract and Sodium Hyaluronate infuse moisture instantly to the skin and keep hydrated. As per Xiao Ni’s advice I spray the mist directly onto my face in the day and use cotton pad for application at night after removing makeup. Silk Moisturising Serum, betain and plant callus culture extracts keep the skin moisturised by offering ample moisture and reducing water loss. I used as as a day moisturiser, love the lightweight texture doesn’t leave my skin oily after application. The texture slightly heavier than the hydrating moisturiser, its recommended to use as a night cream. Fast absorption into the skin, keeping my skin dewy till the next morning.